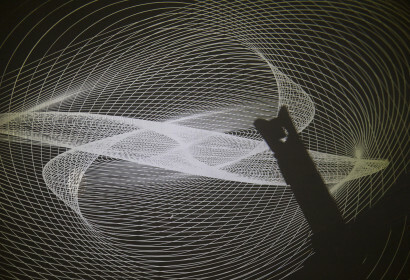 Don’t tell the projectionist the projector can make music! 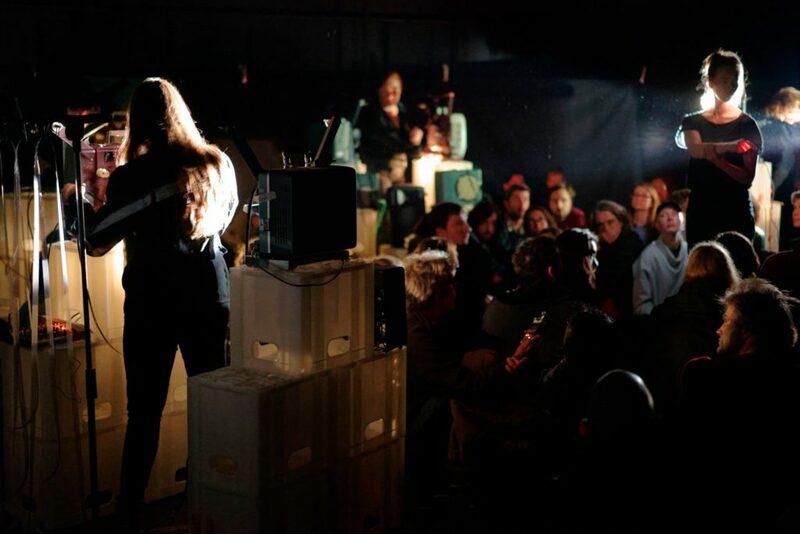 The 16mm projector is an electronic instrument not particularly known for its musical history. 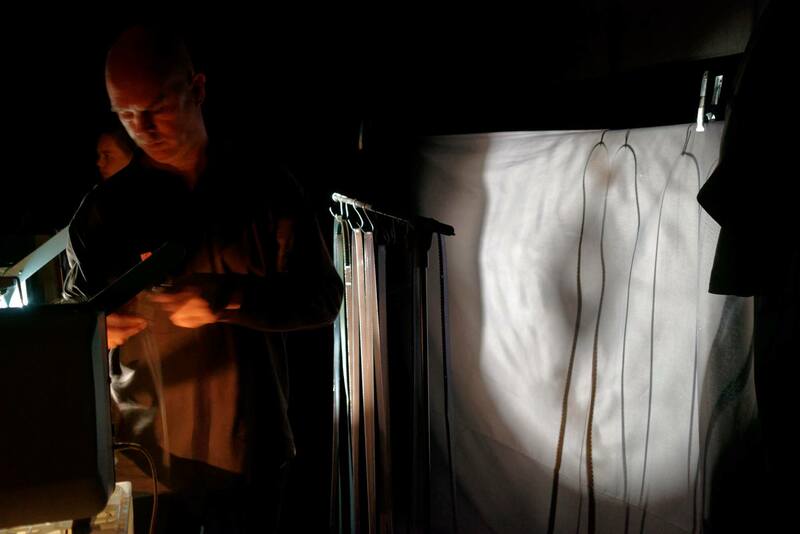 Within the history of expanded cinema many artists worked with the projector as instrument, but this project uses a whole orchestra of these machines! 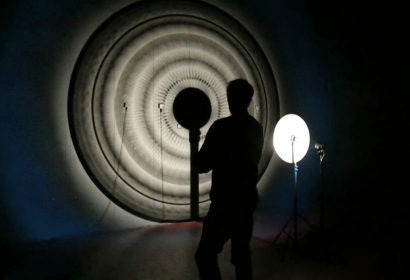 The film projector is a noisy apparatus that projects the image of film and uses a second light to project optical sound. 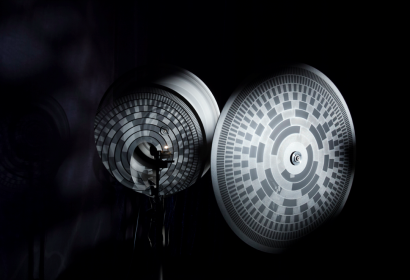 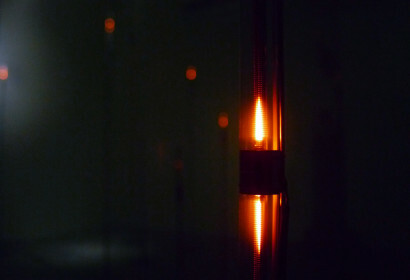 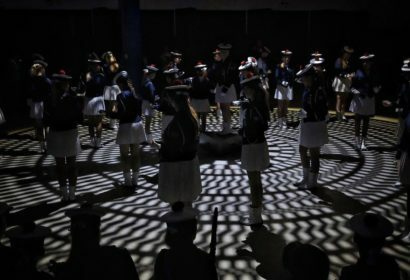 For the Optical Sound Orchestra, Mariska de Groot created a piece where the rattling apparatus functions as a musical instrument and the projectionists serve as musicians. 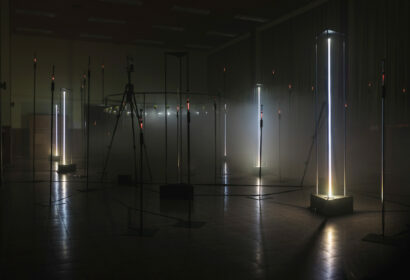 Slowed down and amplified, you experience the procedure of the projector being put into operation. 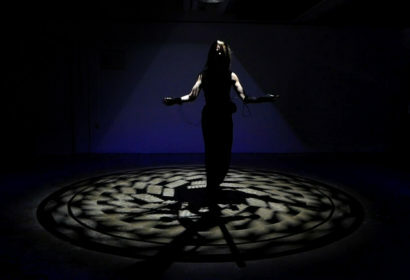 An orchestra of six performers and twelve instruments brings an ode to the rhythm and richness of sounds behind cinema. For this composition De Groot investigated the characteristics of sound the different types of projectors carry, their original rattling, the noises gathered through the years and the hidden sounds like electromagnetic fields. 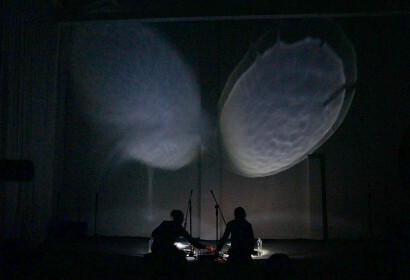 The different sounds and rhythms are printed on film and orchestrated in combination with invented live techniques to play the 16mm projector as an instrument. 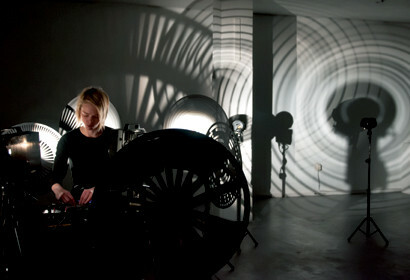 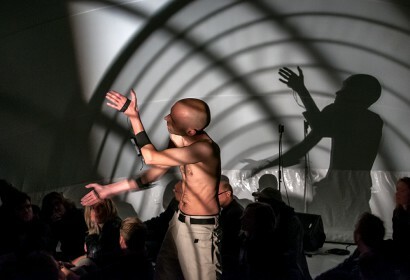 The Optical Sound Orchestra was initiated by Filmwerkplaats Rotterdam, composed and executed by Mariska de Groot, and performed by members of the Filmwerkplaats. 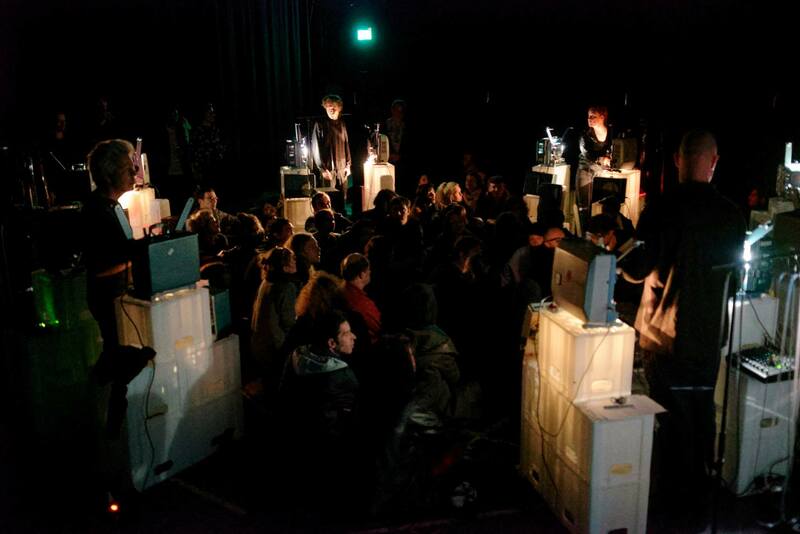 It’s premiere took place during Back to the Future Festival on 4th of November 2017 in Ubik / Worm Rotterdam.